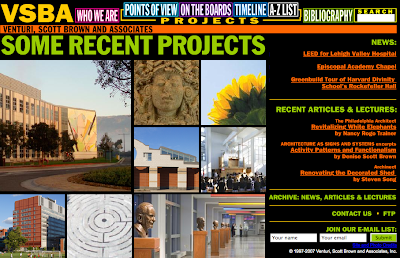 Have you visited lately the website of Robert Venturi, Denise Scott Brown and Associates? Its signage and fonts and billboards, etc is so them; and only them. Full of signs and systems and competing symbols. Check it out here. You are currently browsing the archives for the Scott Brown category.